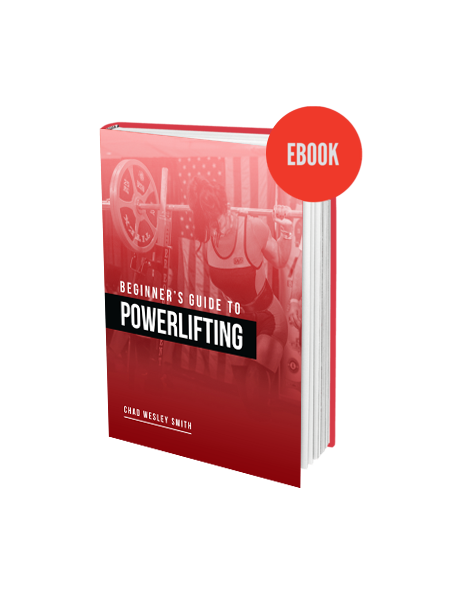 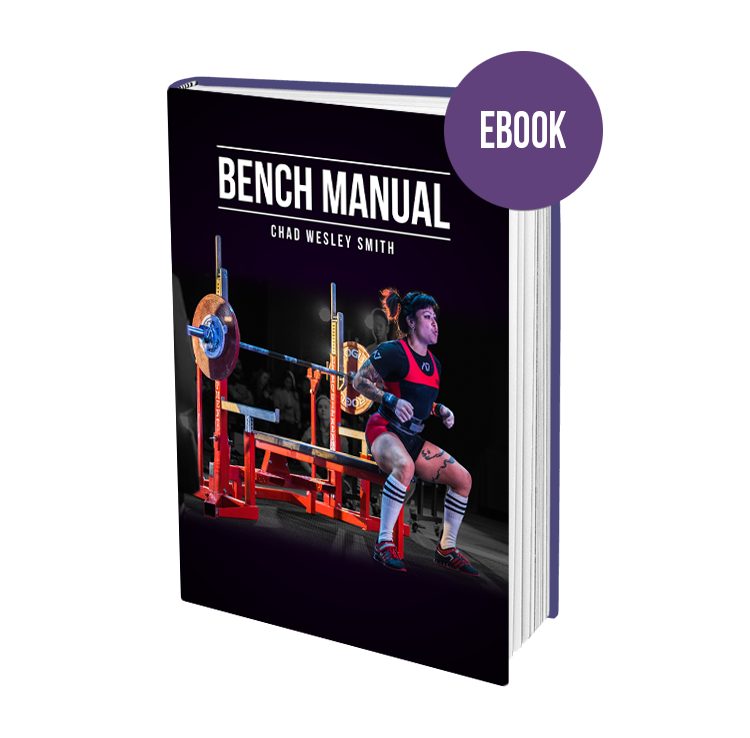 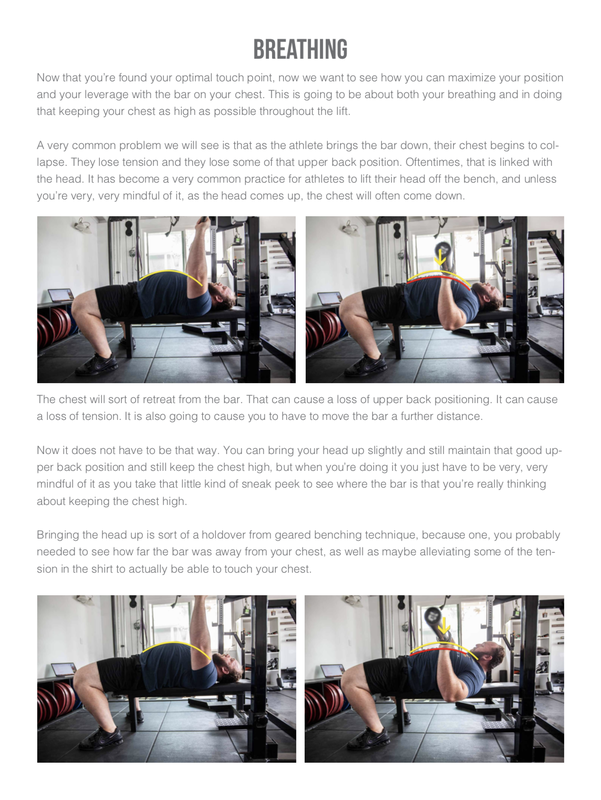 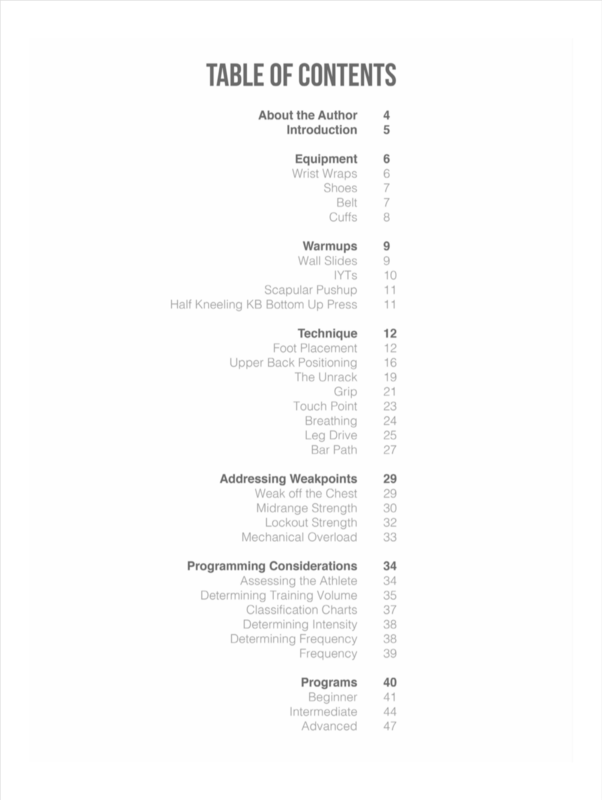 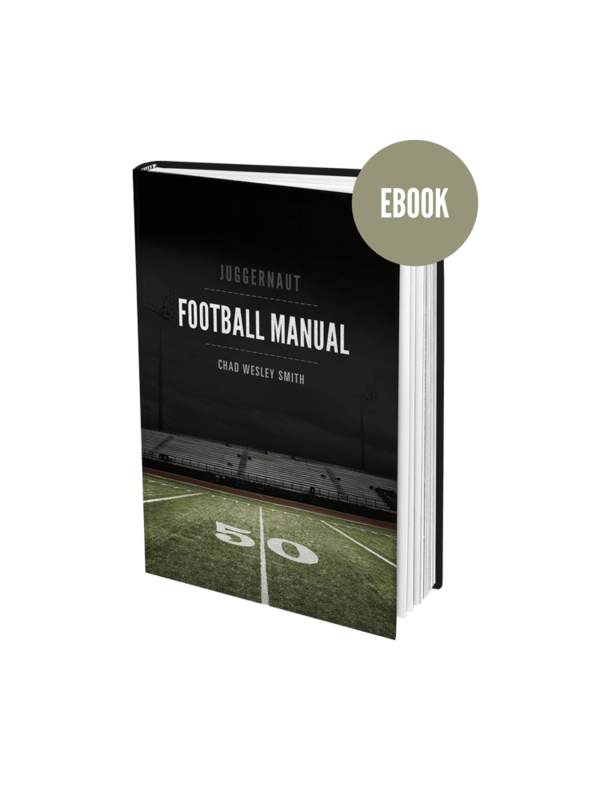 The Juggernaut Bench Manual takes a comprehensive look at developing a strong and efficient bench press. 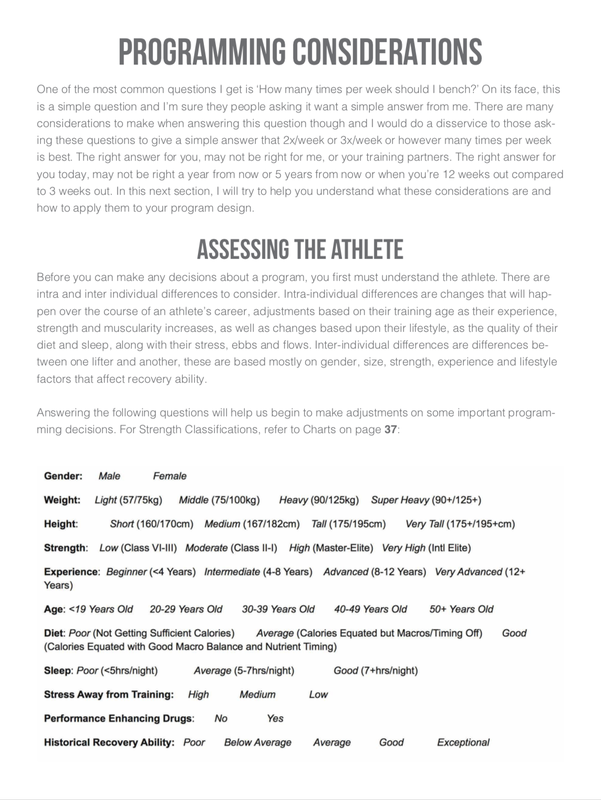 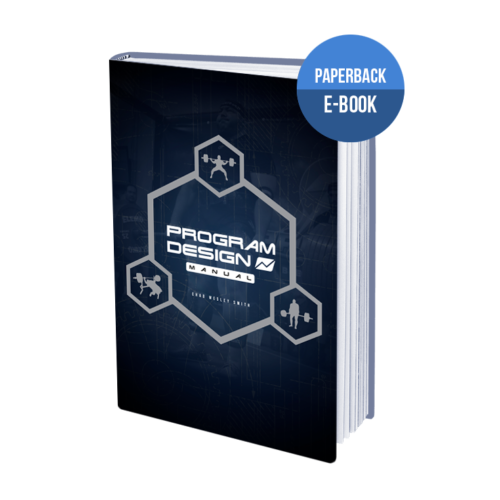 -How to choose the right equipment from footwear to wrist wraps, belt and cuffs. 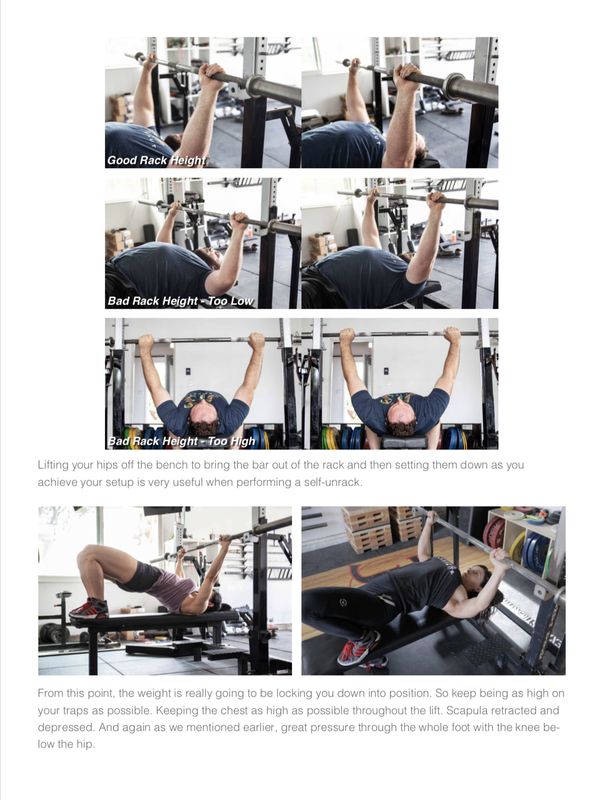 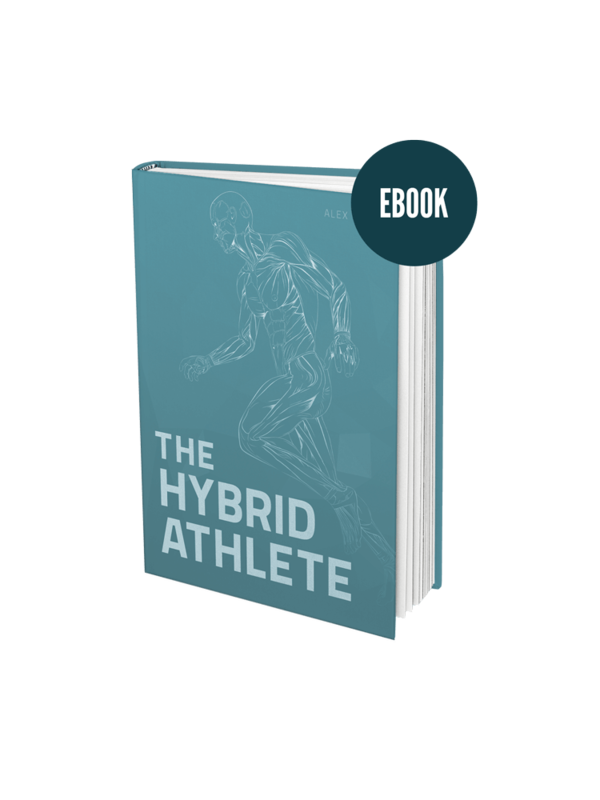 -Mobility and Stability Drills for the shoulders and t-spine.